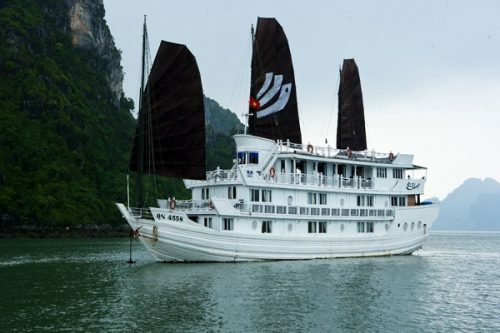 Home / Blog / Is Halong Bay overnight cruise a great way to discover? 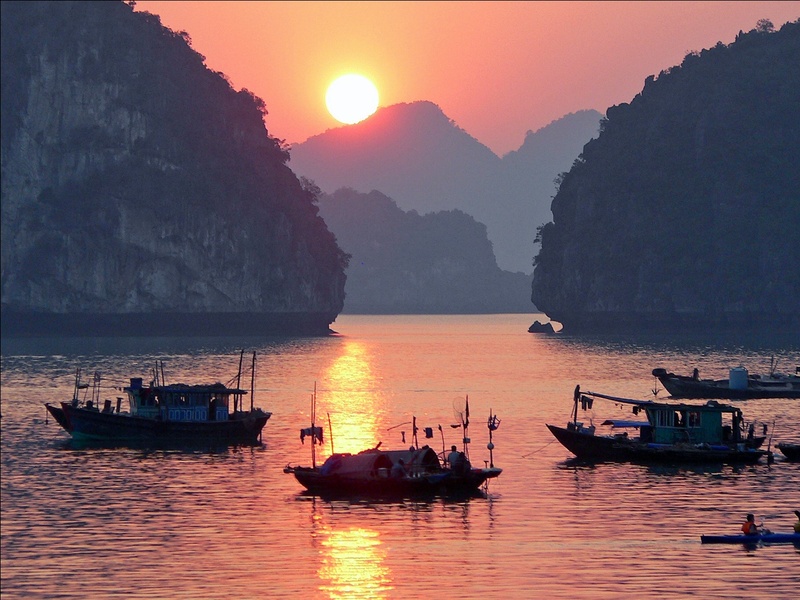 Sunrise and sunset moments are when Halong Bay’s scenery is at its glory. And staying overnight cruise is the only way for you to get to see them. With colorful lights from the Halong cruises reflected into the water creating a vivid picture, Halong Bay, which is extremely magical among the large sea at sunset, is where those who love the moment the sun slowly goes under sea should not miss. When night falls down, Halong Bay gives you the feeling of totally peace and tranquility. 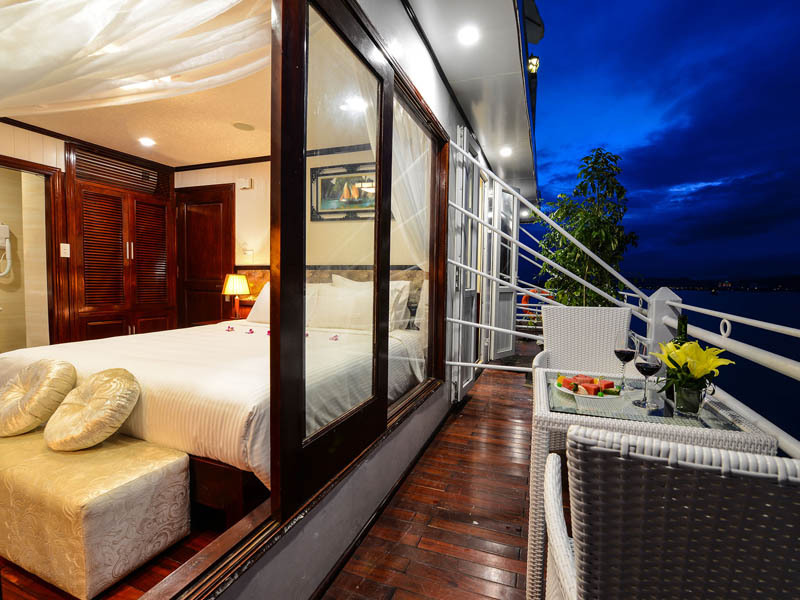 A perfect choice for a romantic night should be lying on the deck while immersing your soul into a fanciful space, seeing the shining stars and relaxing with the sea breeze. It’s high time to wash all concerns and fretting about the daily life away. 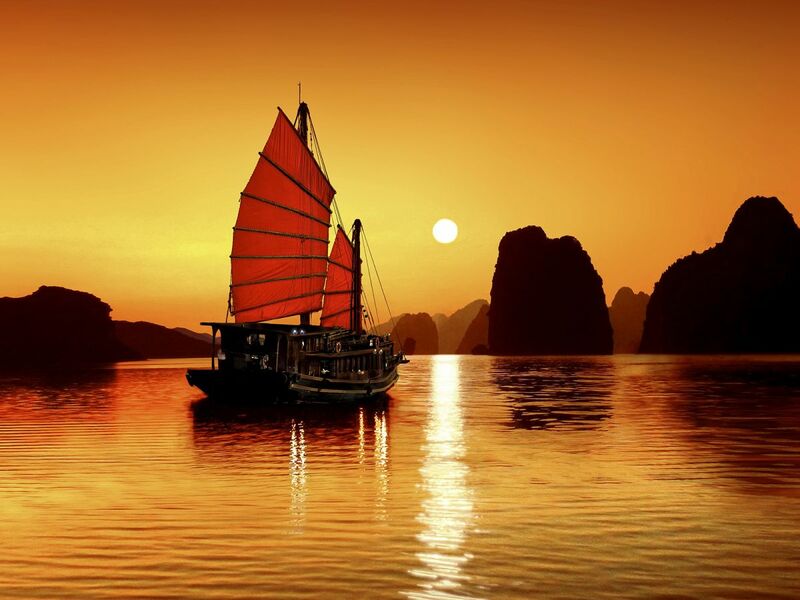 A memorable excursion with Halong Bay overnight cruise will surely make you wonder why you did not do it sooner. It is an incredible chance to give you, your beloved and your family a meaningful gift with full of sweetness. Halong Bay overnight cruise offers plenty of exciting activities to please all kinds of passengers from releasing in the ocean at night while lying on the deck and enjoying a cup of wine for those who travel alone and want to release stress to funny activities such as: partying on board, karaoke and squid fishing at night for those who travel with friends, relatives or young people and like communicating and making new friends. 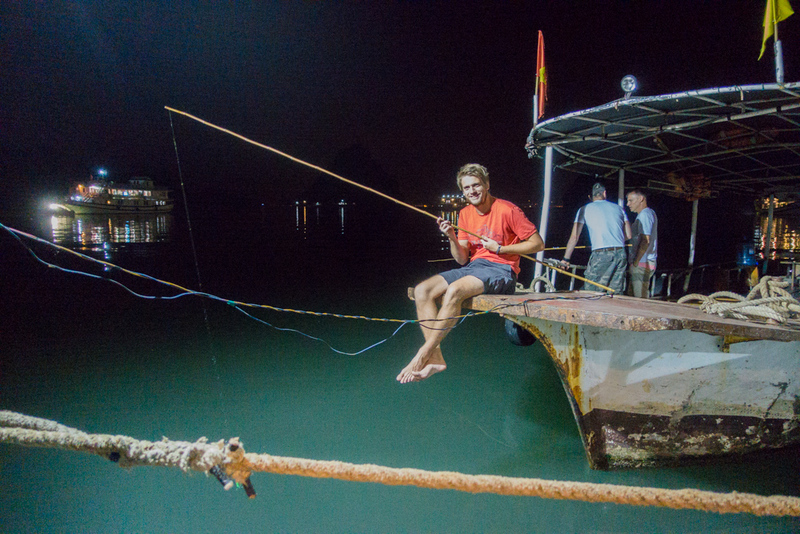 If you visit Halong Bay in the spring, when is the squid season, it is advised to take part in going squid fishing on boat at night! After catching a lot of squids, you can have the staff onboard cook it for you and you will have your own fresh squid dishes. 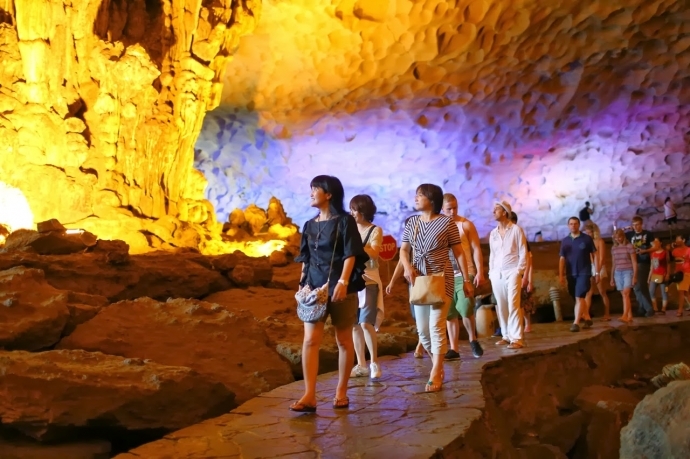 Sung Sot Cave on Bo Hon Island, which is beautifully lit by different color of lights, is one of the largest and most spectacular grottoes of this UNESCO World Heritage Site. One of the most important reasons why you should choose Halong Bay overnight cruise is that you will be taken to visit this charming cave during the earliest hours, as soon as it is open. Without crowd, you will have ample of time to enjoy the gorgeous beauty of this cave. Passengers from different cruises have started queuing from 7 o’clock in the morning and it is not difficult to imagine how long the line gets in the afternoon. Equipped with personal items for each passenger such as towels, washcloths, shampoo, soap, toothbrush, toothpaste, shower gel, comb, Halong cruise is like a mini hotel on shore. As all of these objects will be changed daily, you do not have to worry about it. However, it is wise to bring your own personal items if you are not accustomed to use products packaged.